Arsene Wenger has revealed unsettled Arsenal star Alexis Sanchez could return to action in this weekend’s Premier League clash at Liverpool. Sanchez has just one year remaining on his current Arsenal contract and is keen to leave the Emirates Stadium. He could walk away for free at the end of this season if no new deal is agreed but, amid interest from Manchester City and Chelsea, Gunners boss Wenger has insisted Sanchez will not be sold. Sanchez has missed Arsenal’s opening three games of the new campaign with an abdominal strain, but Wenger says the Chile forward is now ready to feature at Anfield on Sunday. “Alexis has worked very hard to be back again and he is available,” Wenger said on Thursday. “He works very hard, is focused and gives absolutely everything. He loves to play so much that it is sometimes difficult to stop him but he looks absolutely ready. While other high-profile Premier League transfer targets have been left out of their respective sides at the start of the term, ahead of the August 31 deadline, Wenger is unconcerned about Sanchez having his head turned by a move. “He has always been focused on his job, he loves to play football and I don’t think he is too disturbed by all the noises that happen,” he said. Arsenal have been heavily linked with a move for Monaco’s Thomas Lemar during the window, potentially as a replacement for Sanchez if he were to depart. But Wenger conceded on Thursday that the France international will not be making the move across the Channel as the Ligue 1 champions face losing some of their other title-winning stars. “It’s dead because Monaco have closed the door,” he said. Wenger, who signed his own two-year renewal with Arsenal in May, has several players who, like Sanchez, have contracts that expire in 2018. One of those is England midfielder Alex Oxlade-Chamberlain, also linked to Chelsea, but Wenger is adamant the 24-year-old remains a key member of his squad moving forward. “We all have our agendas that are quite busy but we do not publish them. Some people look better informed than I am!” he said. 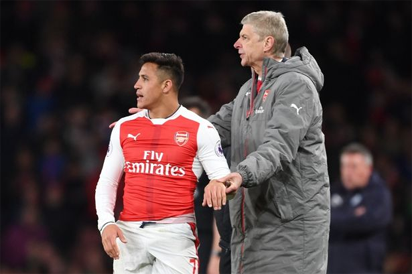 The post Sanchez set to return for Liverpool clash appeared first on Vanguard News.